PM now backs proposal to apply sovereignty over towns in Judea, Samaria, says Likud MK. Bill to be brought up in two weeks. Will a proposal adopted by the Likud party last month to apply Israeli sovereignty over Israeli towns in Judea and Samaria be adopted by the Israeli government? One of the leading proponents in the Knesset of Israeli sovereignty in Judea and Samaria, MK Yoav Kish (Likud) claims that Prime Minister Binyamin Netanyahu supports the move – despite his failure to appear at a party conference in December which brought the issue to a vote. Prime Minister Netanyahu did not participate in the gathering, which drew Likud ministers and lawmakers, including Jerusalem Affairs Minister Zeev Elkin, Internal Security Minister Gilad Erdan, Labor and Welfare Minister Haim Katz, Deputy Foreign Minister Tzipi Hotovely, Transportation Minister Yisrael Katz, Science Minister Ofir Akunis, Knesset Speaker Yuli Edelstein, and MK Sharren Haskel, as well as Jerusalem Mayor Nir Barkat. In recent years, the Prime Minister has shelved bills which would apply Israeli sovereignty to towns in Judea and Samaria, including a proposal by MK Kish last year which sought to extend Israeli sovereignty to the town of Maaleh Adumim, just east of Jerusalem. Now, however, MK Kish says the Prime Minister is prepared to back legislation extending Israeli sovereignty over parts of Judea and Samaria. Kish, a first-term MK who chairs the Land of Israel Lobby, has drawn up a new bill based upon the resolution adopted by the Likud last month which would gradually apply Israeli sovereignty to communities across Judea and Samaria. Speaking with Arutz Sheva Sunday, Kish expressed optimism the bill would gain the support of most of the party’s Knesset members, and ultimately of the governing coalition. “This week we’ll sign a majority of Likud members onto [the bill], then we’ll go to the Ministerial Committee for Legislation in two weeks.” The Ministerial Committee for Legislation, which brings together party leaders from the coalition every Sunday, determines which proposals are adopted by the coalition, and which are not. Even if the bill is passed, says Kish, it will not result in the immediate application of sovereignty, but will instead create the framework for extending sovereignty in the future. 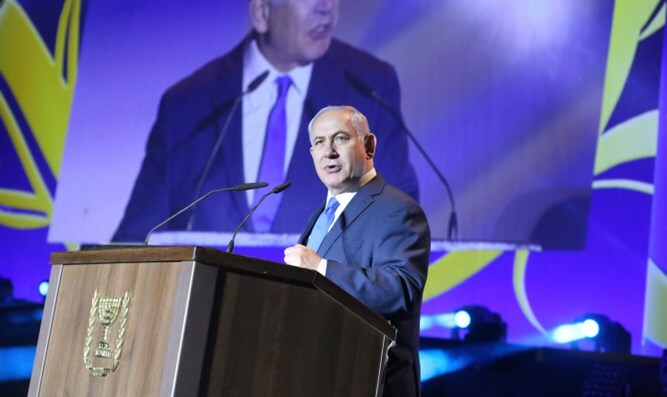 Kish added that given the strong support from the Trump administration expressed during Vice President Mike Pence’s visit to Israel last week, the time is ripe for changes to the status quo, and claimed that the Prime Minister backs the proposal.